IT WORKS and you FEEL GREAT doing it. 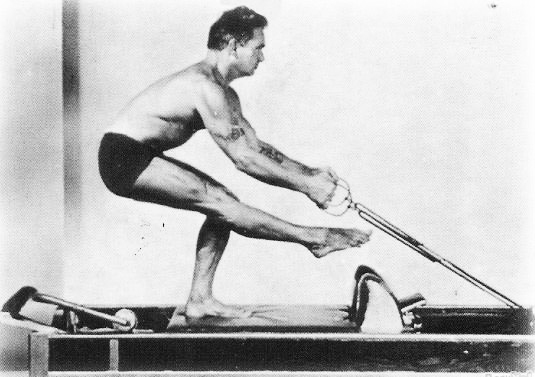 Joseph Pilates was born in Germany around 1880. He was a sick child with bouts of rheumatic fever, asthma, rickets and an overall weak respiratory system. Growing up he became interested in how to improve his health and grew to believe that the ideal man combined both a strong, well trained body and an equally well trained intellect. In pursuit of his goal, he became extremely athletic, doing boxing, fencing wrestling and gymnastics. In 1912, Joe went to England where he worked as a self-defense instructor for detectives at Scotland Yard. When World War I broke out, Joe was interned as an "enemy alien" with other German nationals. During his internment, Joe refined his ideas and trained other internees in his system of exercise. Because of his success with his inmates he was approached and by camp leaders and given the job of an orderly at a hospital on the Isle of Man where he was in charge of manually working out 30 patients every day, moving whatever they could move. Recovery in the hospital usually meant extended bed rest for a patient, which led to muscular atrophy, loss of aerobic capacity and a weakened immune system. But Joe's exercises helped his patients to avoid those pitfalls, heal faster and fend of secondary infections that befell many others in similar circumstances. 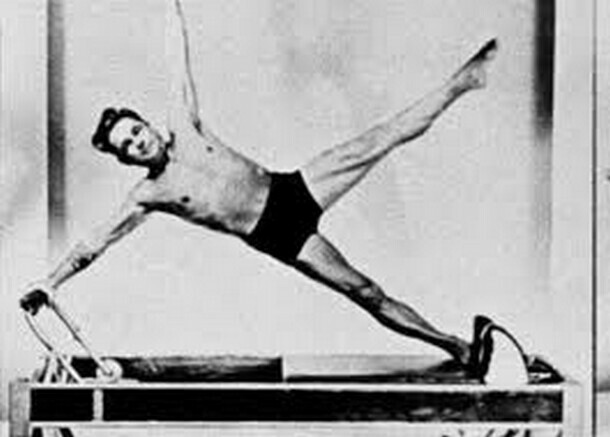 This work led to the development of the first Pilates equipment. Manually exercising 30 patients a day was exhausting so Joe rigged springs to hospital beds which enabled bedridden patients to exercise against resistance, an innovation that led to his current design we use today, the Cadillac! An influenza epidemic struck England in 1918, killing thousands of people, but not a single one of Joe's trainees died. This, he claimed, testified to the effectiveness of his system. 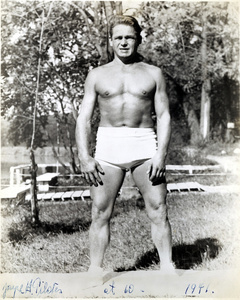 After his release, Joe returned to Germany where he was approached by German officials and asked to teach his fitness system to their police force. Joe decided he didn't want anything to do with that and left Germany (for good) on a boat to America, where he met is soon-to-be-wife, Clara. When Joe & Clara arrived in New York in 1926, they rented a small studio in the same building as the New York City Ballet Company. Clara's background as a nurse made her a great partner for Joe and they worked side by side teaching what they called, "Contrology". (Thank goodness it's not called this anymore! It doesn't quite roll off the tongue the same way!) The method attracted clients from all walks of life and became particularly popular with the dance community, who came to Joe & Clara for rehabilitation following injuries.